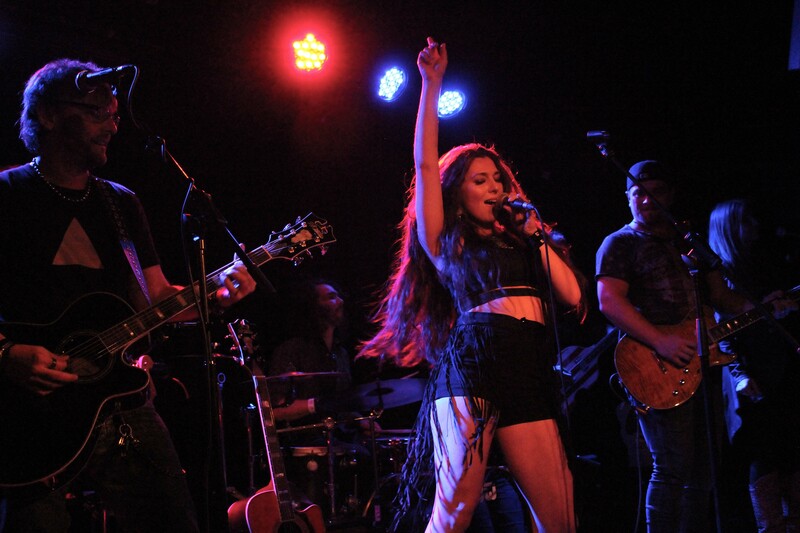 Jessica Lynn, country music’s newest hot property, took to the stage of Islington’s award-winning live music venue, The Lexington, on Friday 28th July to treat excited revellers to 90 minutes of fun, frolicking and, most importantly, dancing. Lots of dancing. Hailed as “Shania’s Successor”, the pint-sized firecracker originally hails from New York – where the country music scene is currently booming. She’s already shared a stage with the likes of Brad Paisley, Keith Urban, Tim McGraw, which is no surprise as she is one of the lucky performers to possess a real stage presence. I have to admit that I hadn’t actually heard any of Jessica’s music before the gig and, while I was patiently waiting for the evening’s entertainment to begin, I wasn’t sure what to expect. I surveyed the audience and was surprised to see such a variety of people. From young to old, from male to female, from timid to boisterous, there was a refreshing mix of music fans ready to rock out under one roof. Support act, Gasoline & Matches, warmed the audience up impeccably well, filling the venue with heart-felt vocals and experimental guitar licks. By the time Jessica and her Daisy Dukes hit the stage, the audience was in the mood to party. And party they did. Lynn, full of energy and excitement, made her way through a collection of original songs – taken from new EP ‘Look At Me That Way’ – and even threw in a few classics. Think Chuck Berry and AC/DC – is there nothing this woman can’t sing? By the end of the night, the audience was sweaty, smiling, and in excellent spirits. I’ll certainly be purchasing Jessica’s new EP. In fact, I’d go as far to say the mesmerising singer-songwriter has acquired a new fan.